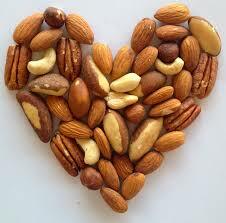 from several major causes of death than people who do not consume nuts or peanuts, the study said. London: You have long complained of your employer paying you ‘peanuts’ for salary. But the peanuts can actually enhance your lifespan, says a study. The study confirms a link between peanut and nut intake and lower mortality rates, but finds no protective effect for peanut butter. Men and women who eat at least 10 grams of nuts or peanuts per day have a lower risk of dying from several major causes of death than people who do not consume nuts or peanuts, the study said. “It was remarkable that substantially lower mortality was already observed at consumption levels of 15 grams of nuts or peanuts on average per day,” said project leader professor Piet van den Brandt from Maastricht University, in the Netherlands. The effects are equal in men and women. Peanuts show at least as strong reductions in mortality as tree nuts, but peanut butter is not associated with mortality, researchers found. This study was carried out within the Netherlands Cohort Study, which has been running since 1986 among over 120,000 Dutch 55-69 year old men and women. Nut consumption was assessed by asking about portion size and frequency of intake of peanuts, other nuts (tree nuts) and peanut butter. The researchers analyses the relationship with overall and cause-specific mortality since 1986. However, in this study, published in the International Journal of Epidemiology, it was found that mortality due to cancer, diabetes, respiratory, and neuro degenerative diseases was also lowered among users of peanuts and nuts. “A higher intake was not associated with further reduction in mortality risk,” den Brandt added. Peanuts and tree nuts both contain various compounds such as monounsaturated and polyunsaturated fatty acids, various vitamins, fiber, antioxidants, and other bio active compounds, that possibly contribute to the lower death rates.